Finally, June was a relatively quiet month. Phew! I'm gonna do my best to make this post photo-heavy and light-on-text. Let's roll! 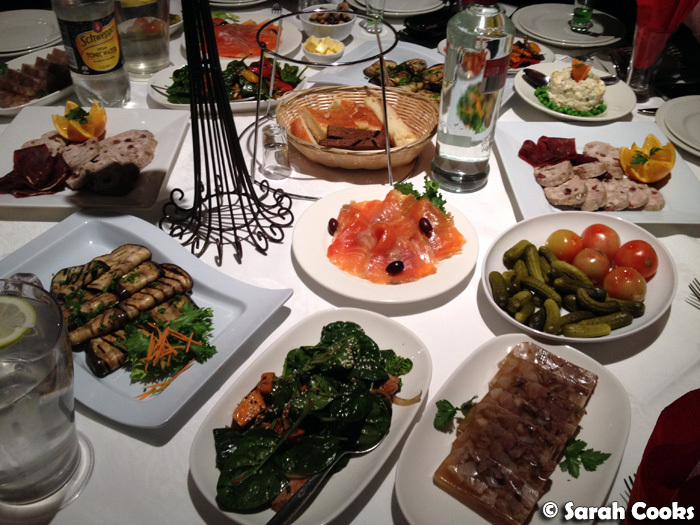 On the first day of the month, I attended the Good Food and Wine Show. (Disclosure: I received free tickets to the show, as well as to some events within the show). 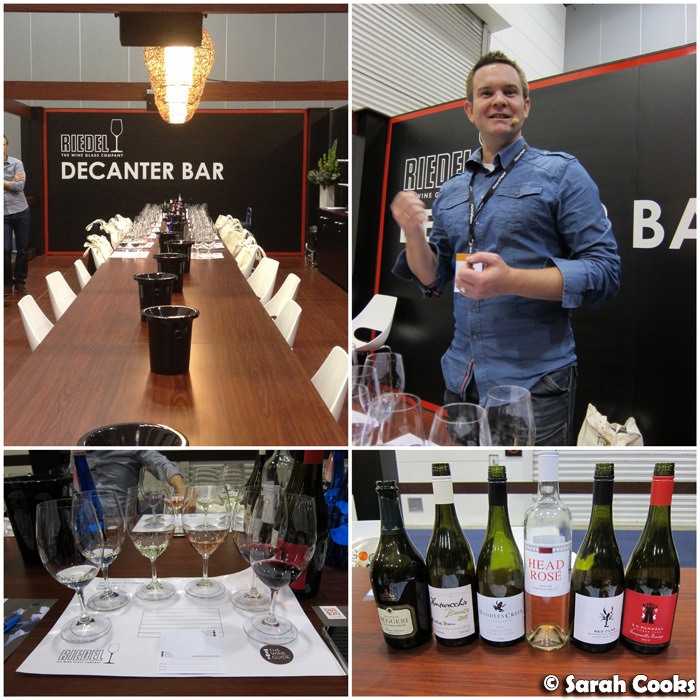 I really enjoyed the "How not to Drink Wine Like a Wanker" session at the Riedel Decanter Bar, hosted by Dan Sims and Ben Edwards, where we got to taste six different wines and talk about, well, not drinking wine like a wanker! It was a fun, informal and informative session - I'd definitely recommend attending one of their events or demos! Before the session, I did wander around the different stalls, but there wasn't anything particularly interesting to share with you. I must admit that I normally avoid these types of food shows, mainly because I'm a crotchety old grandma who hates dealing with big crowds, but also because I don't see the point of attending a big trade show where you have to pay to enter, just so that you can buy more things. However, the event I attended was great, and well priced. A ticket was priced at $60, and came with a pretty sweet gift bag, including a pair of Riedel glasses! (N.B. Buying a ticket for any event at the show will enable you to buy a slightly discounted ticket to enter the show itself.) So whilst I don't think it's particularly worthwhile attending the Good Food and Wine Show just to visit the different exhibitors, it can be worth it if there's a particular event or session that you're interested in attending. I had a fun morning baking with the lovely Duncan, making Jill Dupleix's chocolate espresso brownies, with added hazelnuts and white chocolate. These were a little cakier than I normally like for a brownie, but had a lovely deep flavour from the dark chocolate and espresso. 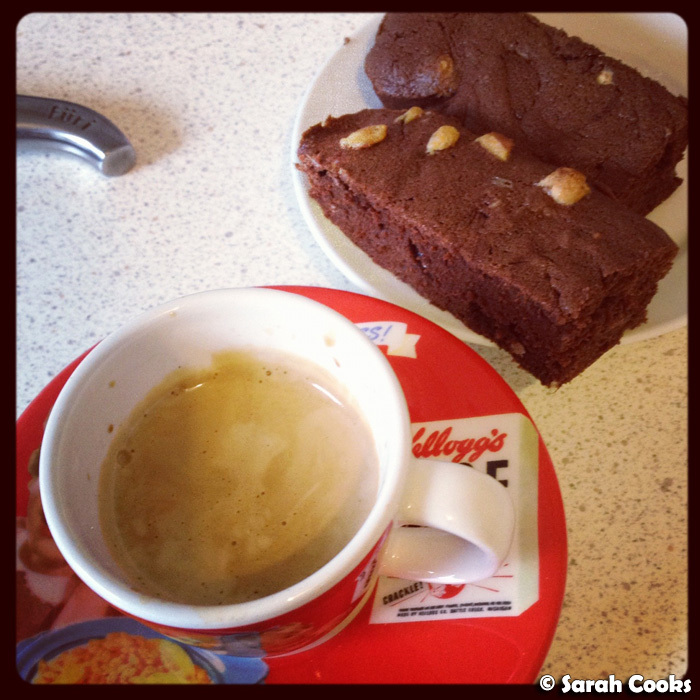 Espresso Brownies with espresso in a cute Rice Bubbles cup! 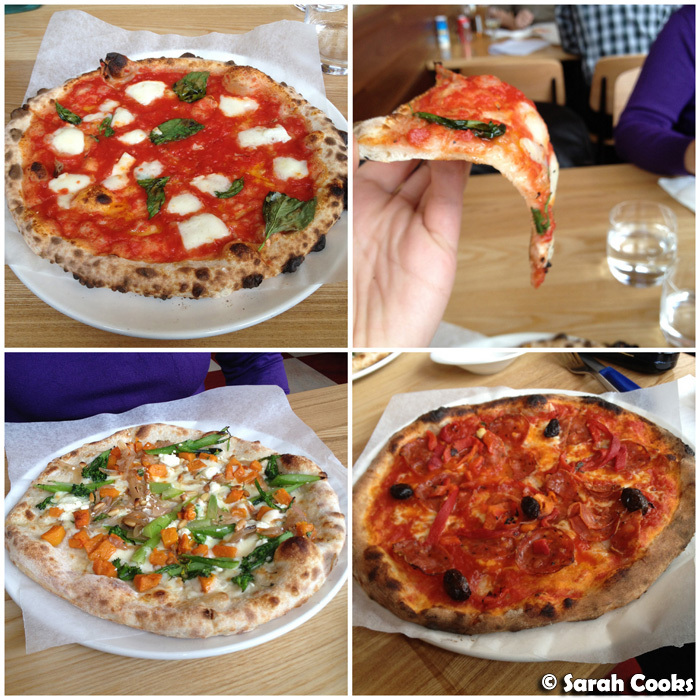 I had a great lunch at Firechief Pizzeria in East Hawthorn, the highlight of which was the fantastic wood-fired "Margherita d.o.p - the authentic". (Top left in the below picture). Next time I think I'll take a tip that I picked up on my previous trip to Naples and ask for my pizza with doppio formaggio. (Double cheese). 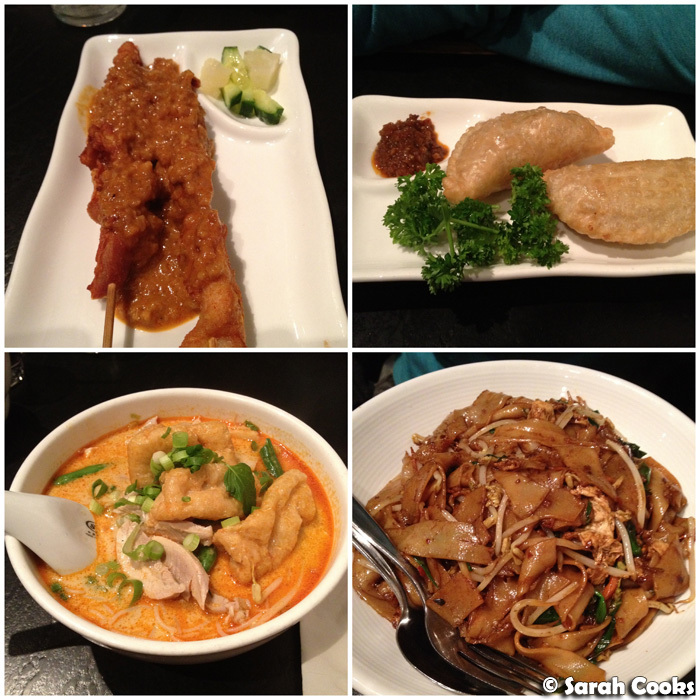 After seeing Prometheus at the cinema, we had a quick dinner at Monk and Me - as y'all know we love their curry puffs, and the rich chicken laksa was the perfect meal for a cold night. BTW, I thought Prometheus was great! Michael Fassbender as a Peter O'Toole-channeling android? Awesome. Pantalons Oeufs - "Egg trousers"
I had a fabulous takeaway dinner from Purple Peanuts on Collins Street (near Southern Cross Station). The below deep-fried tuna onigiri with mixed salads (miso carrots and beans; Japanese potato salad; brown rice salad) was only $7.90, and was a filling yet virtuous dinner on a night that I couldn't be bothered cooking. Yay! I love the fact that they're a bit creative and different from the standard Japanese takeaways around town, and can't wait to go back and try more from their menu. 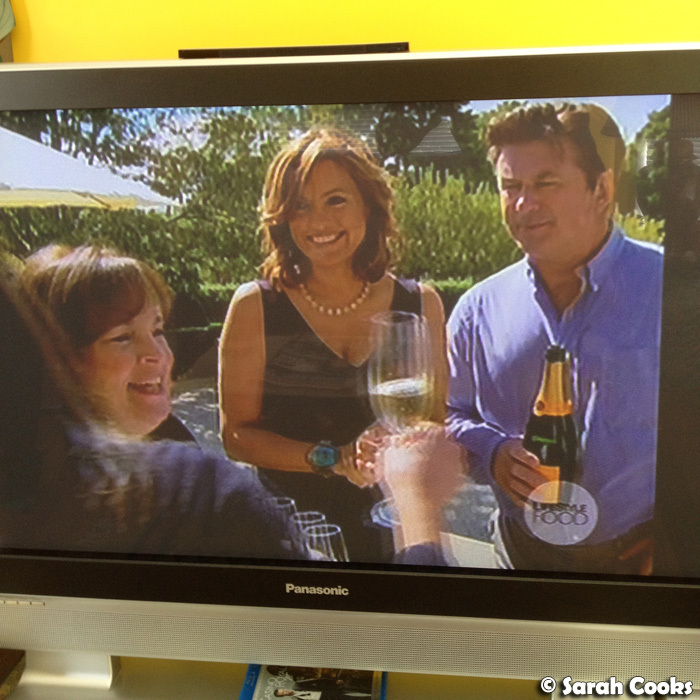 I had a mini freakout when I saw an episode of The Barefoot Contessa with Mariska Hargitay and Alec Baldwin! I'm a huge fan of Ina Garten, Law and Order: SVU AND 30 Rock! Woah! The episode was so cool, Alec even went grocery shopping for Ina! I went to Pappa Rich twice this month (once to the Chaddy branch, once to the Doncaster one). This is the place that sells the plate of deep fried chicken skin. Ahem. (Don't judge me). I really felt like I was getting in touch with my Malaysian roots by shopping in a mall and then going for Malaysian food and teh ais! 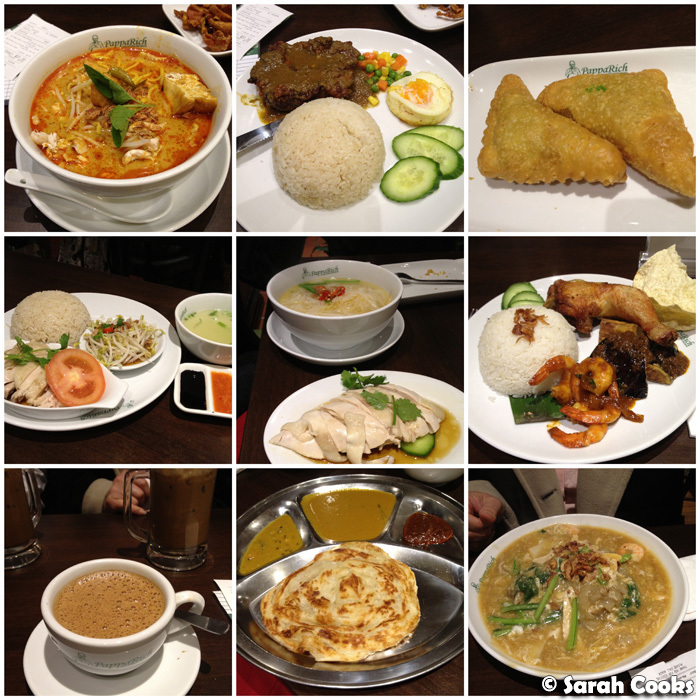 The highlights included: a wide-ranging menu, better-than-average roti canai, and a great range of drinks. My Milo Mocha was incredibly rich and had me buzzing for the whole night, hehe. 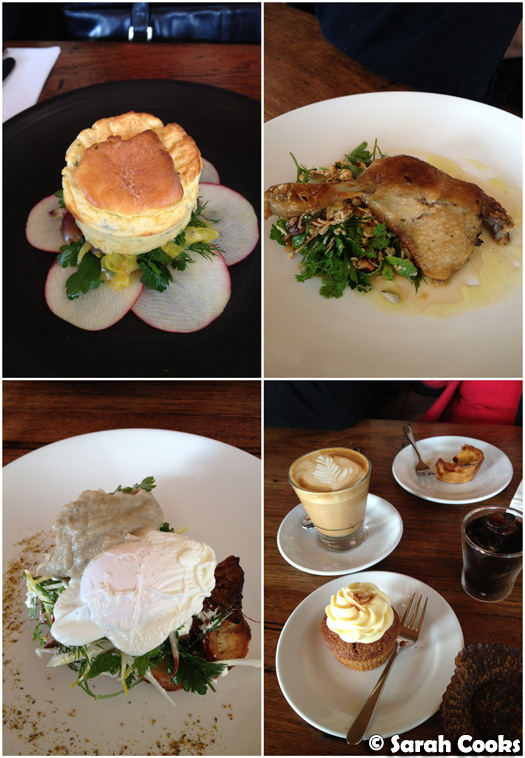 Despite a few inconsistencies, the food overall was very good. I liked Pappa Rich and would definitely go back, especially for the roti! Next time I must save space for roti kaya! We had a really bizarre, yet fun evening at Matrioshka, a Russian function centre in Carnegie, where we celebrated my friend's birthday. The food was good, and there was a lot of it! 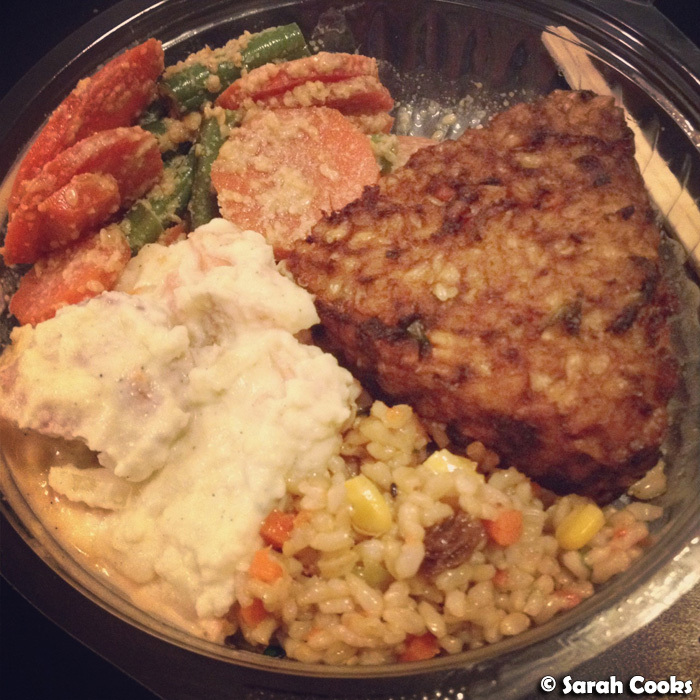 Unfortunately, there was at least a two hour wait between entrees and mains! I think this was to give time for dancing (and the tables of Russian families around us were really getting into it, and didn't seem perturbed at all by the delay - so I think this is normal!) 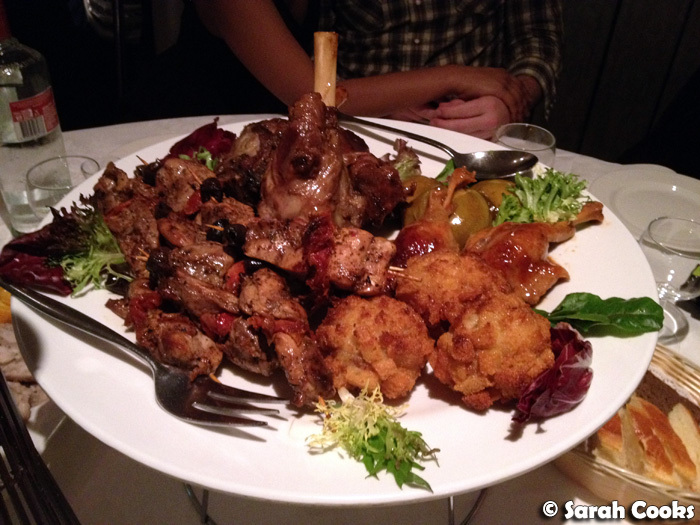 However, about fifteen minutes after the mains (see meat platter below) were brought out, waitresses were quickly coming back to our table asking if they could clear the (still full) plates and bring out the cake. HUH? Despite that, it was a fun night! My advice is to BYO vodka and get drunk, fast. 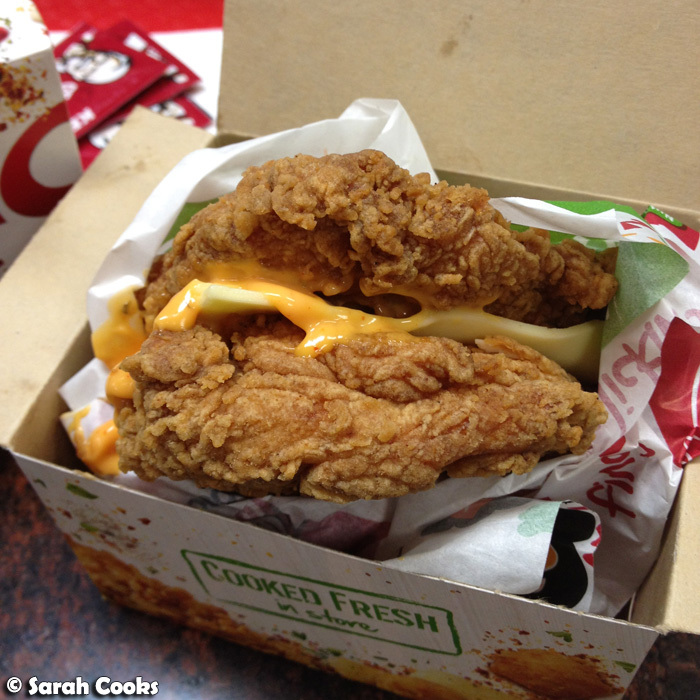 It was only back for two days, and I had to do it: the KFC Double Down! Two hot and spicy chicken patties, filled with Zinger sauce, bacon and cheese. Eep! Salt and fat alert! I think my KFC cravings for the rest of the year have been well and truly satiated! 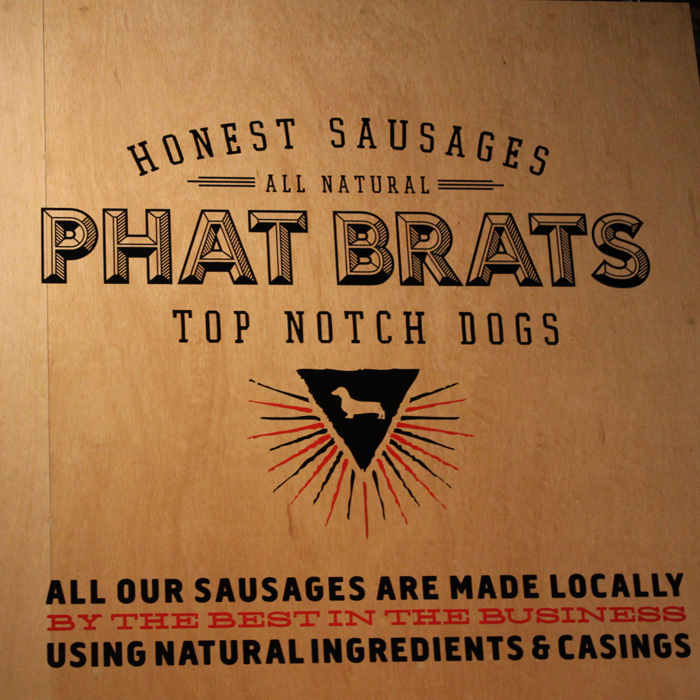 And on the total opposite spectrum of fast food, we enjoyed some tasty hand-made, locally sourced hot dogs at Phat Brats. (Disclosure: we were invited to visit and our meals and drinks were complimentary). 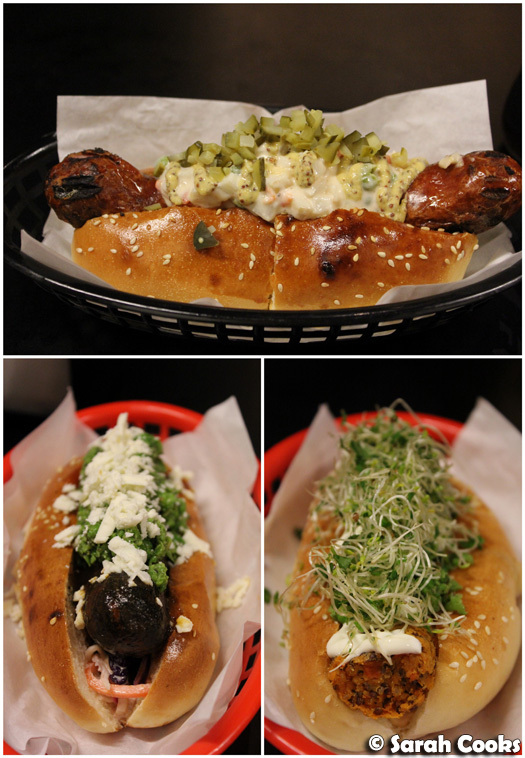 Y'all know how I feel about sausages, so I was really keen to try out their self-proclaimed "top notch dogs". The fresh sausages come from a butcher down the street, the smoked sausages come from a German smoker, and the veggo sausages are made in house. With all their generous toppings, the hot dogs were a little messy to eat, but all the combos were very tasty, and I loved the soft, slightly sweet buns. (That's what she said!) Obviously I had to try one of the German sausages, and the cheese kransky gets my tick of approval! I actually liked this kransky better than the ones from my favourite butcher, Andrew's Choice, as it wasn't as overpoweringly salty as Andrew's ones can often be. I thought the lamb sausage with minted peas and crumbled feta was a cute mod-oz interpretation of the classic combination of lamb and mint. I was surprised by how much I enjoyed the vegetarian superfood dog - it had a great texture from the quinoa, and an appealing sour note from the tamarind - and I'd happily order it myself in future when I'm not in the mood for meat. 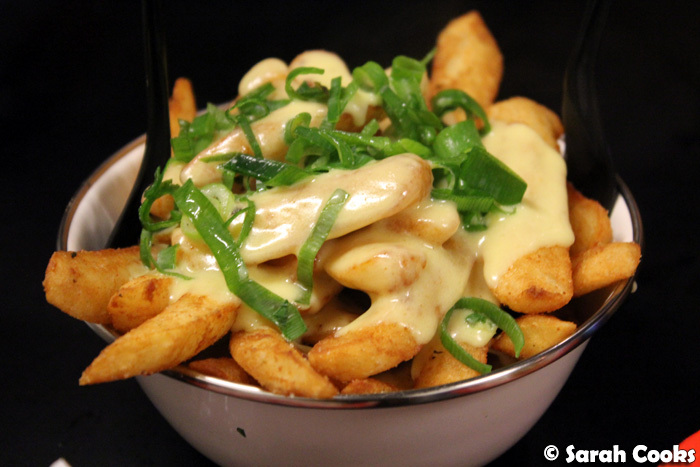 The cheesy fries were a standout for me, sprinkled with tasty mystery seasoning and smothered in cheese sauce. I was happy to hear that they'll be getting a liquor licence soon, so that you can enjoy a craft beer with a hand-made hot dog. (How very Fitzroy!) Even more excitingly, they're going to be expanding the fries menu beyond the current offering of cheesy, veggo chilli or beef chilli, so I'll have to make another trip back to try them out! I don't normally buy cupcakes, but seeing a carrot cupcake with vanilla bean cream cheese icing (my favourite type of icing! ), I just had to have it! It was a cakier style of carrot cake, lovely and moist, with a generous splodge of cream cheese icing on top. And that was June! For what felt like a quiet month, I'm amazed how big this post got! I also can't believe the year is half over already, it's just zoomed by! 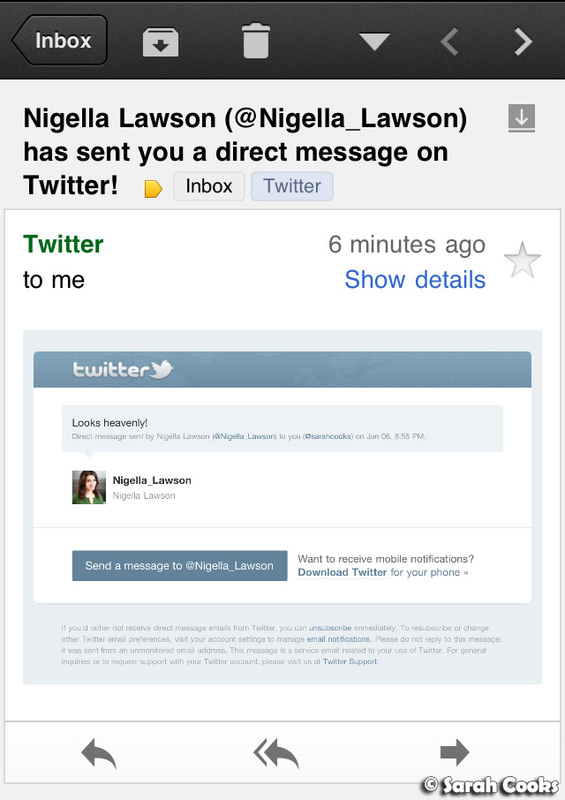 Love the DM from Nigella herself - how exciting. I popped into the Good Food show as well and agree, besides the actual classes and presentation the rest was a bit of a nightmare. You must be spazzing over the fact that nigella dm-ed you. I'm curious about the russian place you went to. I always wanted to try russian cuisine. Been wanting to go to Firechief Pizzeria, looks great! But ahem, how amazing is that DM from the queen herself. Though, it doesn't surprise me, you rock her dishes. I've been wanting to go to Firechief! AND OMG NIGELLA! Lorraine - It was so trippy to see Mariska and Alec on Barefoot Contessa! Worlds colliding, lol. 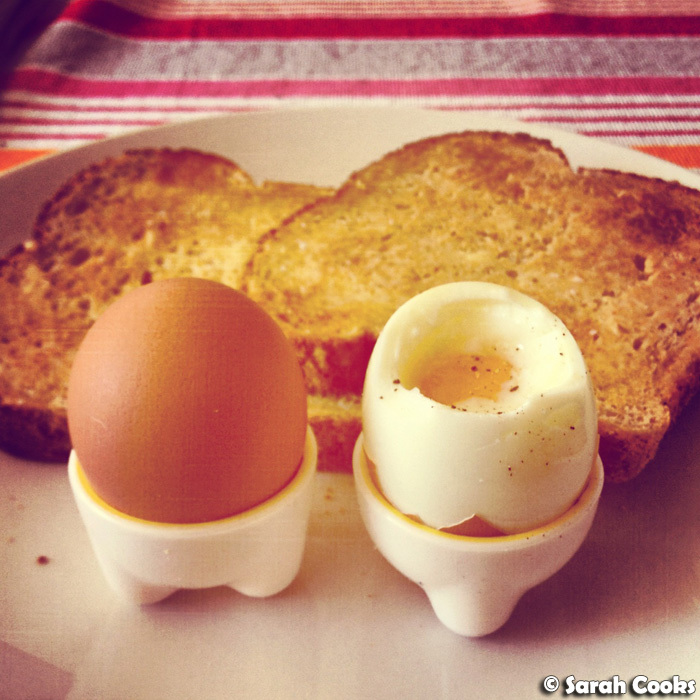 Cara - Thanks for your comment, I'm glad to hear I'm not the only one who struggled with the GFWS! Michelle - Haha yup, it was a bit of a thrill! 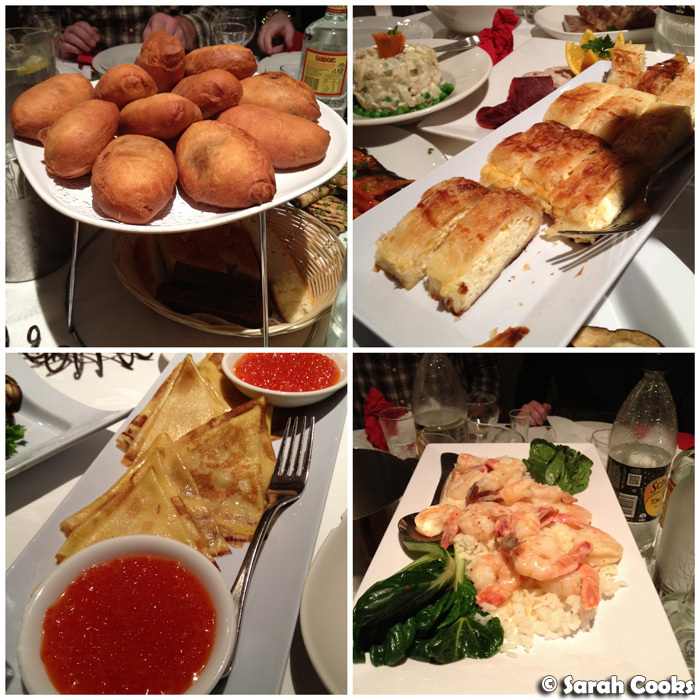 Russian food is so yum, give it a go if you get the opportunity! Adrian - Firechief is totally worth a visit! And awww, thank-you! 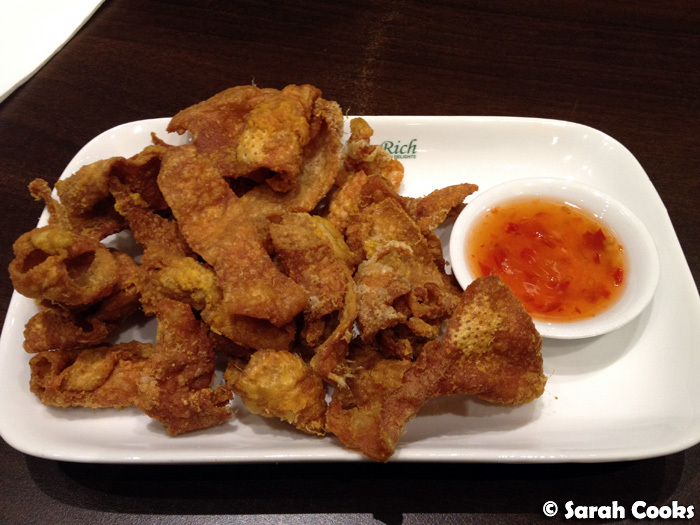 I-Hua - Chicken skins for the win! OMG, Nigella replied to you!!!! So cool!! 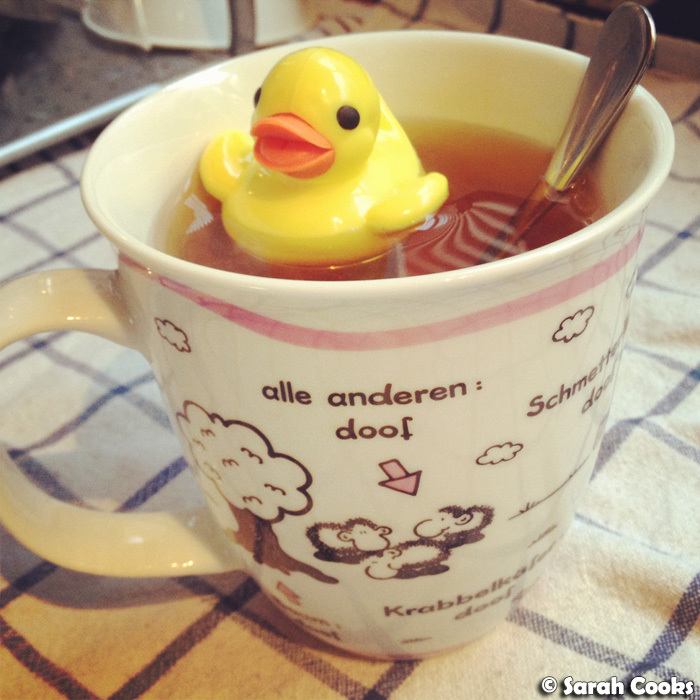 What a cute tea infuser!